An attractive, clean and tidy appearance will enhance your home's appeal. •Replace broken panes of glass - cloudy sealed-pane units can often be replaced inexpensively, and will drastically improve the appearance of a window or patio door. The maintenance improvements listed below are relatively easy and inexpensive to make, yet can substantially improve a home's appearance (value), efficiency and comfort. Protect your home and its occupants from danger. •If you have direct entry from the garage to the interior of the home, consider installing a hydraulic or other form of auto-closure device on the door. 6.Prepare for the buyer's inspection. •Age of major components such as the roof, furnace, air-conditioner, etc. I can't imagine why you'd ever want to sell but I can help! Welcome to my selling portion of Lakejosephrealestate.com. Here you’ll find resources to assist you with all your Lake Joseph needs. Whether you are a first time home or cottage seller or an experienced seller looking to turn a profit on an investment property, we can provide you with comprehensive waterfront real estate solutions. My website allows you to search for current Lake Joeseph listings and receive detailed descriptions and photographs and that will help you get an idea of what your cottage might be worth. 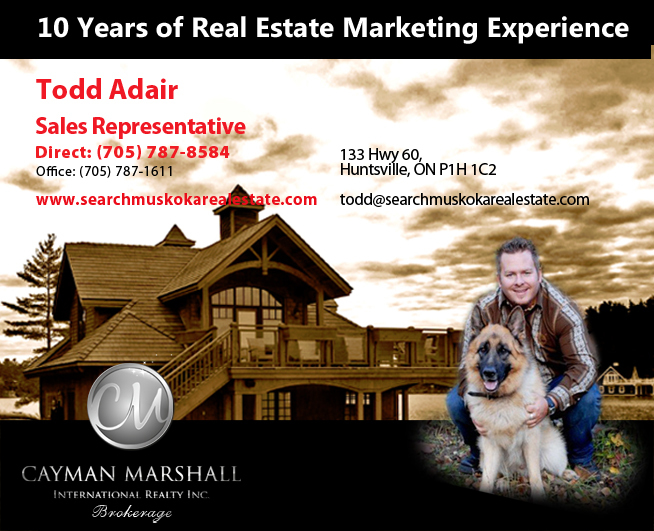 The next step is to fill out the Free Cottage/Home Evaluation and I'll do a free estimate of worth on your property. Click "Here" to get yours today.